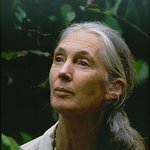 With the support of renowned wildlife experts Jane Goodall and Dereck Joubert, animal protection and conservation organizations, led by The Humane Society of the United States and Humane Society International, filed a legal petition with the U.S. Fish and Wildlife Service to extend the full protections of the Endangered Species Act to African leopards (Panthera pardus pardus). Leopards in sub-Saharan Africa have declined by more than 30 percent in the last 25 years, according to a new assessment from the International Union for Conservation of Nature, and have lost between 21 and 99 percent of their historic range in different regions across the continent. The continued survival of this elusive and majestic cat is endangered by staggering land conversion for agricultural purposes, habitat fragmentation, loss of prey species targeted for bushmeat, retaliatory killings due to conflict with livestock ranchers, poaching for pelts used as ceremonial furs, and indiscriminate killing from snares set for other animals. In addition to these devastating local threats, American trophy hunters – including the sons of Republican Presidential nominee Donald Trump and also Honeywell CEO David Cote – have targeted leopards for display of their heads and hides in trophy rooms and have contributed to the perilous circumstances for this species. According to original analysis presented in the petition, from 2005-2014 alone, American trophy hunters imported parts equivalent to 5,575 individual leopards – this equates to an average of more than one leopard killed for a trophy per day, every day, for a decade. Through this petition, HSUS and HSI, along with the Center for Biological Diversity, International Fund for Animal Welfare and The Fund for Animals, seek to eliminate a loophole put into place in 1982, whereby the standard Endangered Species Act permitting requirements are waived for trophy hunters for leopard imports from 18 countries in sub-Saharan Africa. The petition asks for an immediate status review to determine whether leopards in sub-Saharan Africa should be listed as endangered, along with their counterparts in Asia and North and West Africa. The petition also demands an immediate halt on the import of leopard trophies until the Fish and Wildlife Service updates decades-old guidance documents that authorize the import of leopard trophies based on population estimates that have long been discredited by leopard experts. According to the IUCN, as well as the sworn declarations submitted by Dr. Goodall (Founder, Jane Goodall Institute) and Dereck Joubert, poorly managed leopard trophy hunting undermines efforts to save the species. The agency has recently taken similar action to crack down on hunting trophies of African lions and African elephants at the urging of these same petitioners. Further, a recent Congressional report also demonstrates that trophy hunting in Africa routinely fails to promote conservation and directs USFWS to rein in the unfettered imports of wildlife for this frivolous purpose.